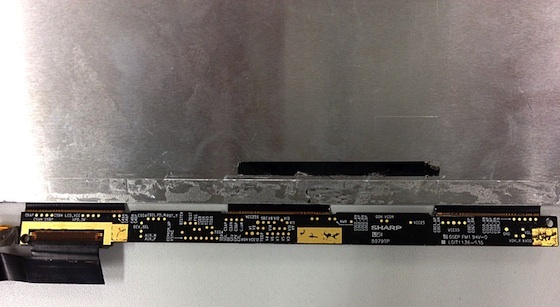 Continuing the recent rush of iPad 3 part leaks, a new photo of what is reportedly the iPad 3 display panel has appeared on repair website iLab Factory. The LCD panel shown below is 9.7-inches – the same size as the iPad 2 – and manufactured by Sharp, who has been long-rumored to be supplying the display panels for the iPad 3. While the iPad 2 requires only 2 ribbon cables, the image below shows a third which may be required to support the iPad 3’s expected retina-level screen resolution. 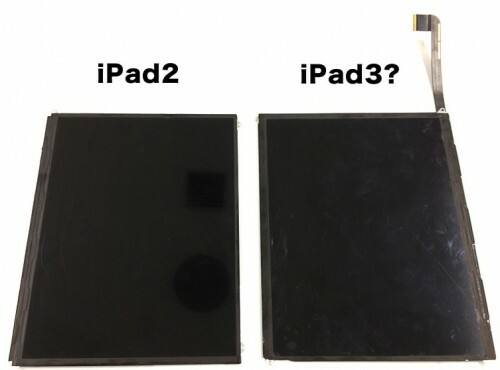 These photos come just a day after images of the iPad 3’s rear housing were posted by RepairLabs which showed a number of internal redesigns. Apple are reportedly set to announce the iPad 3 in the first week of March.